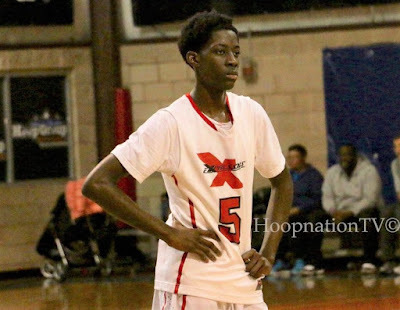 BASKETBALL SPOTLIGHT NEWS: Tip Off Classic Mixtapes: Terrence Clarke Shows Off In Neptune! Tip Off Classic Mixtapes: Terrence Clarke Shows Off In Neptune! The 6"6 Combo Guard/Small Forward Terrence Clarke showed off his sky's the limit like potential @ The 2016 Tip Off Classic. All weekend Terrance showed why he is considered one of the best players in the country and actually made his case for #1. Clarke averaged double figures while making the game actually look easy at times during pool play. Terrance Clarke's EXpressions ELITE team is arguably one of the top 10 teams in the country. Would love to see this group stick around for more. STAY TUNED as we bring you more highlights!! Baby Baller Alert: Kayden Mingo Means Business! Tip Off Classic Mixtapes: Zion Cruz Blows Up! Tip Off Classic Scores Update! CLASH FOR THE CUP REGISTRATION READY TO GO!